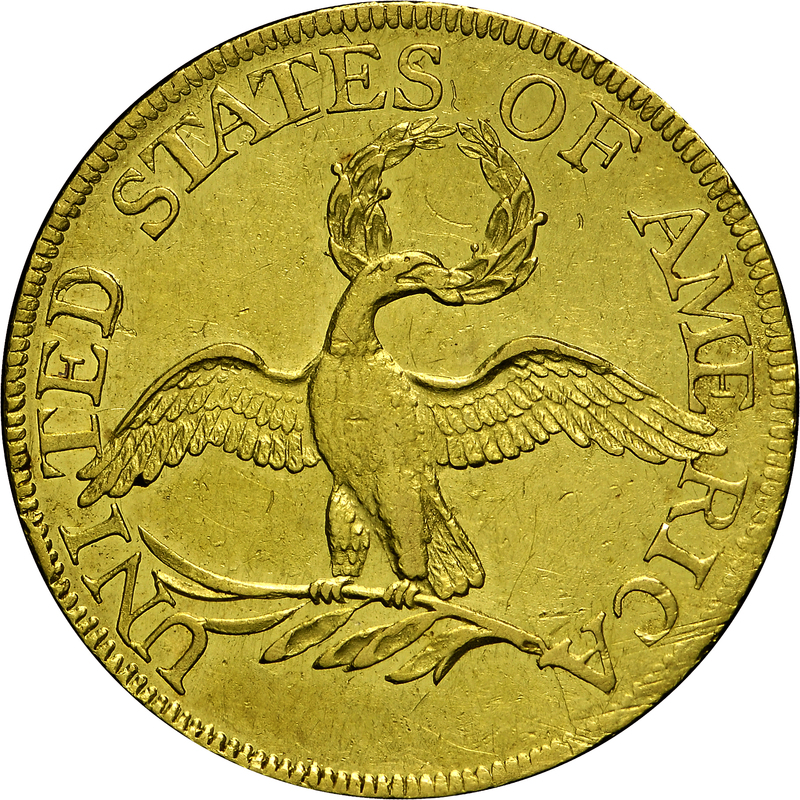 This obverse die was used with three different reverse dies, and all three varieties are relatively common. 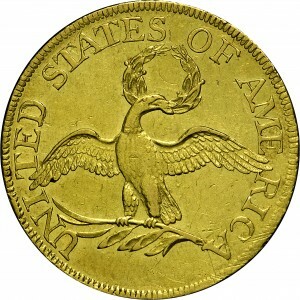 Of all 1795 half eagles collected by Harry Bass, six were from this single obverse die, two with each reverse. 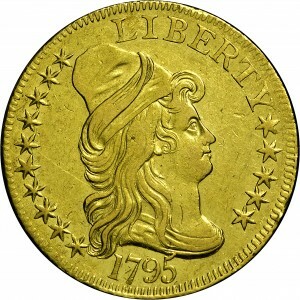 The reverse die has D sharply doubled, a feature providing instant identification. Attribution of varieties requires an eye for minute detail. This example has a doubled D in UNITED. Another variety has the final S in STATES punched over an errant D, as displayed at HBCC-3036. Some dies do not have an easily recognized characteristic and thus must be attributed through examination of several features. From the Bowers and Ruddy Galleries sale of the Stanislaw Herstal Collection, February 1974, Lot 761. 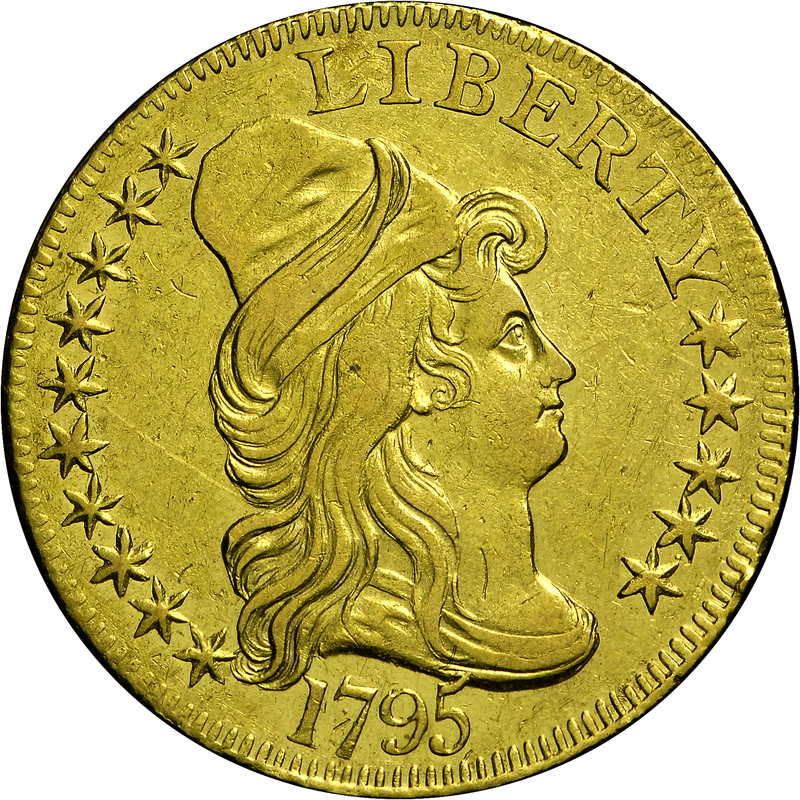 "Obverse: Close date. Tip of 5 overlies drapery. Left top serif of 1 appears to touch hair, but not quite. Reverse: 4 berries, 1 inside right very low."